If your spouse died outside of Australia and you are planning on migrating to Australia, you may be asked to show a death certificate of your deceased partner especially if you took this person’s name and hadn’t reverted to your original surname. For legal purposes, most Australian authorities require your non-English documents including death certificates to be translated before it is accepted by their department. In Australia, government departments will only accept document translations completed by a NAATI accredited translator. The National Accreditation Authority for Translators and Interpreters (NAATI) is the sole accreditation body and national standards for the translation industry. A NAATI death certificate translation is preferred by most, if not all authorities requiring English translations of documents in Australia. Make sure your document is handled by a NAATI accredited translator to guarantee its acceptance in any authority where your death certificate translation is needed. With Perth Translation, your document will be handled with professionalism by a translator who has proven his or her ability to translate documents in their specialisation. Each translated document will have a NAATI stamp and fully accepted in any government body here in Perth, around Australia and overseas. Every death certificate translation will be undertaken by the most qualified translator who has years of experience in translating documents. Our translators can complete a translation in just 2 to 3 days with the highest quality. We ensure that every translated document is accurate and high quality with the help of our project managers who are dedicated to double-checking every document. They ensure that your document contains the same message conveyed in the source text. Try our services today and avail of a death certificate translation. Perth Translation is well known for its quality, affordability and speed. You won’t be disappointed. Have any question? You can get in touch with our customer service representatives any time of the day. We are available 24 hours a day, seven days a week to answer your queries. We’re just one chat away with our Live Chat below. For the meantime, here are some of the FAQs for our translation service. When can I receive my death certificate translation? Our translation services include two types of processing times. With our standard translation service, our translators mostly have an average completion of 2 to 3 business days. On the other hand, we also accept urgent translation requests. Inform us of your need, and we will make the necessary adjustments to finish your document in the fastest possible time. Our urgent processing time has a 24-hour turnaround. Sometimes sooner. How much are your translations? Our death certificate translations start at only AU $69 per page. However, our pricing varies depending on the document’s turnaround, language and number of pages. If you want to know your document’s translation price, Perth Translation provides free quotes. Just complete the form on this page and upload a copy of your document. You can simply send us a photo or a scan of the certificate. It takes us no more than 15 minutes to answer your price requests. I need a hard copy, do you provide one? Yes, we do, we provide hard copies through Express or Regular Post. 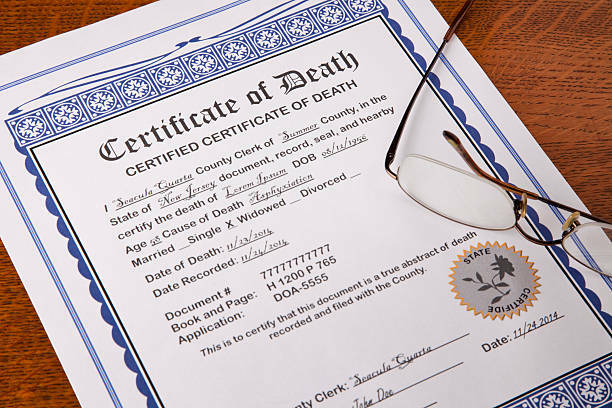 Why do death certificates matter? A death certificate is considered as an official document that the government issues as a declaration of the cause, location, time of death and other information concerning the deceased person. Most often, you will need to provide a death certificate for legal reasons such as claiming life insurance, accessing pension benefits, getting married to prove that you are a widow or funeral arrangements. In some cases, it is used during investigations to review the cause of death of the person. I received my translation within 24 hours. Just wow. They deliver high quality translation just as promised. Very happy – thanks for your great Death certificate translation service. Will definitely recommend this service.